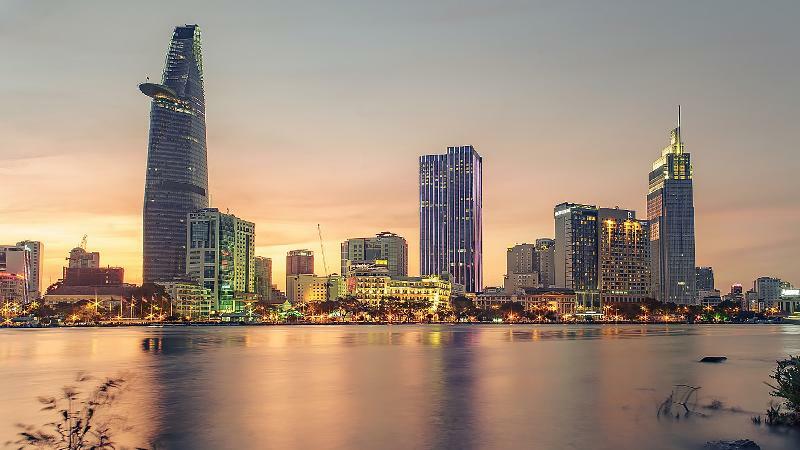 Smart city initiatives are appearing virtually everywhere across Vietnam, but can these Vietnamese cities realise their ambitions? Last year, when we conducted our first Asia IoT Business Platform in Vietnam in Hanoi, we saw great interest among participants, especially in the smart cities space. Back then, we featured local speakers and panelists that represented some cities which are emerging with their own smart city initiatives and efforts—namely Da Nang, Hanoi, and Ho Chi Minh City—to share on the latest key smart city developments and projects. The vibrant discussions and dialogue between the speakers and the audience revealed much anticipation for these initiatives to take flight. A year later, as we did our research on the Vietnamese smart city space, we found out that more of such initiatives have emerged in lesser known cities, such as Can Tho, Binh Duong, and Kien Giang. Of course, this trend is heartening and it signals a stronger and more robust Internet of Things (IoT) and ICT market in Vietnam. However, it begs the question of whether these cities are ready to embark on projects that require not only crucial infrastructure to be in place, but expertise to see them through from the conception to maintenance. Perhaps we should start by looking at the efforts that Ho Chi Minh City (HCMC), Vietnam’s economic capital, have in place to drive its smart city initiative. HCMC recently piloted a successful smart city communications platform, the first in the country. Implemented by Trilliant Networks and Ho Chi Minh Power Corporation (EVNHCMC), the platform serves as a basis in EVN’s commitment to advancing efficiency, reliability, and affordability of energy for their customers. This is in response to the growing energy demand in Vietnam, where the country is projected to experience more than 8% annual energy demand growth, and the concern that Southern provinces might face energy shortages within two years. The smart city communications platform, which was first developed at Saigon Hi-Tech Park (SHTP), incorporates a variety of technologies to respond to elements within the utility’s distribution network. Apart from improving energy efficiency and refining performance across key organisational goals, the success of the project shows that smart solutions can be tested first, and later scaled up to be deployed city-wide and even nationwide to benefit the larger public. This is one of the key projects that signals Vietnam’s commitment to addressing critical challenges and issues in the future through tangible means. Now, HCMC’s smart city dream has become a reality. Even then, HCMC still requires help in furthering its smart city efforts. The US Trade Development Agency (USTDA) for instance, has expressed interest in helping HCMC with its smart city efforts, especially in developing the local master plan and implementation. 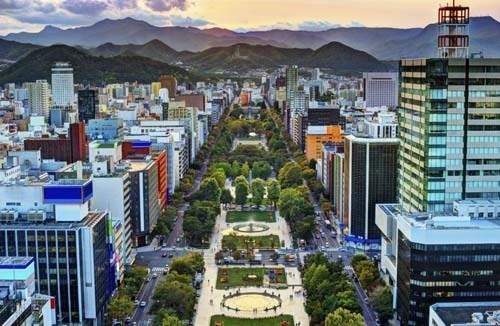 Separately, South Korean conglomerate, Lotte Group, is helping to build the Thu Thiem Eco Smart City, a 7.4-hectare new urban area costing $1.9 billion, which will feature a trading and finance center, hotels, and residential buildings. 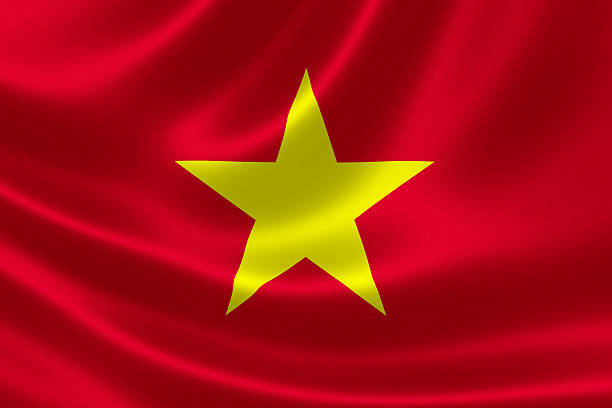 The international cooperation seen above demonstrate that despite Vietnam’s rapid technological progress, the country still requires help from international vendors to galvanise current efforts that are in place. As with HCMC, cities like Kien Giang and Can Tho are also starting to come up with their own smart city initiatives. 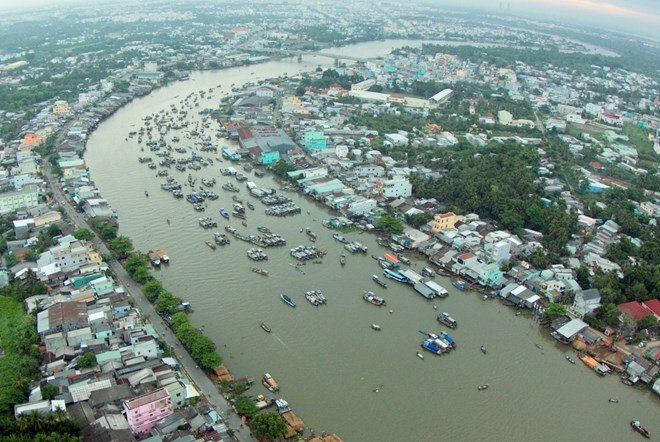 The People’s Committee of Kien Giang has recently approved a project to build a smart Phu Quoc city from 2016-2020. The project, invested by the Vietnam Posts and Telecommunications Group (VNPT) for USD 2.9 million, aims to improve the quality of public services and urban management efficiency. Part of the smart Phu Quoc city are projects such as the building of fiber optic cable network that connects the entire island, the expansion of 4G network, development of a e-Government system, and the monitoring of environmental protection. Additionally, the establishment of smart information systems will provide businesses and the public with high-quality online services which can reduce time and procedures in administrative work and transactions. Mai Van Huynh, Vice Chairman of the People’s Committee of Kien Giang, said that the projects will facilitate the development of Phu Quoc into a special administrative and economic unit in the province. Across the mainland Vietnam from Phu Quoc, Can Tho is also aggressively pushing its smart city initiative, with help from the Republic of Korea. This year, Korea will coordinate with local authorities to deploy the application of weather and natural disaster forecasting software at various hi-tech agricultural parks to cope with climate change and create high-quality farm produce. The software will be piloted at the Korea-Vietnam Incubator Park, before expanding to other agricultural parks. Additionally, the Republic will also help Can Tho to install a transport management and monitoring system where all vehicles on the roads will be controlled by cameras. Violations of traffic law will automatically be send to an integrated management centre. The smart transport system aims to reduce the number of traffic police on the roads, who otherwise must handle dangerous situations directly. Other projects in Can Tho include the construction of green energy sources (solar and wind) for a complex area of industry, resort, entertainment, and residential area. These projects in Can Tho are set to be completed in 2019 at a total cost of USD 2.2 million, sponsored by Korea’s Government and businesses. If this model is operated efficiently, the Republic will continue coordinating with the local authorities to expand in the city and develop Can Tho into a leading destination in ASEAN to develop green industry. In return, the People’s Committee in Can Tho will create the best conditions for Korean businesses to thrive, including providence of infrastructure, policy, and legal support. There is a common element across the smart city initiatives in HCMC, Kien Giang, and Can Tho; all of them are developed in cooperation with international stakeholders of Government bodies and private businesses. While Vietnam is progressing rapidly, economically and technologically, the country remains to be a developing country and there are many areas in which it lacks. This could be in the form of infrastructure, manpower and talent, or policy and regulations. Hence, for Vietnamese smart cities to take flight and move from the conception and planning phase, to the building and execution phase, international companies should take the lead to forge collaboration and partnership with local stakeholders. This can be achieved via trade organisations and chambers, or participating in business programs that facilitate networking and business matching between vendors and potential partners and customers. Successful smart city projects do not happen in silo and no one entity can achieve that by itself. Partnership and collaboration between local and international stakeholders are essential to ensure the success of smart city projects and to ensure a lasting effect for the Vietnamese public. Smart City is one of the most anticipated sessions at the 19th edition of Asia IoT Business Platform in Ho Chi Minh City on 29-30 November 2017. Apart from the key ministries and public service organisations in HCMC, city councils and reps from Kien Giang, Can Tho, and many others are invited to the program to share more on their smart city developments. If you are interested in contributing and highlighting your smart city capabilities, please drop me an email at zaidani@industry-platform.com.